Another Android phone, a new roundabout way of getting control over it. 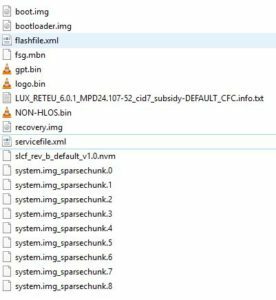 I purchased a Moto X Play last year (review: great battery capacity, good performance, huge phone though), and recently found myself in the situation where I had to manually flash a stock firmware image. This is the first non-Nexus phone I owned, and I found the procedure to be needlessly complicated. In order to save someone else on the internet a few precious hours, here is how to do it. Before you start: ask yourself if a full reflash of stock firmware is really necessary. A simple factory reset might suffice if you just want to return your phone to the state in which it came out of the box. You’ll lose all your apps and customizations. I had to perform a full stock firmware flash because the version I was on wasn’t updating to the latest Android (Marshmallow). Dragons ahead, unlocking your phone will void your warranty. I’m not responsible if your pants catch fire or your phone breaks, but if you follow the guide closely and keep google handy, you should be fine. For Windows drivers, see Motorola Device Manager, this installs USB, ADB and Fastboot drivers. This seems to be the only reliable way to get ALL the drivers on windows. For Linux, android device drivers come standard with the kernel. Wooyay. 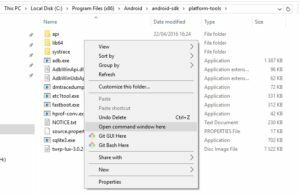 Android command line tools : You don’t need the full SDK, which includes Eclipse and the whole IDE mumbo jumbo, just the command-line tools. Install drivers for your system. 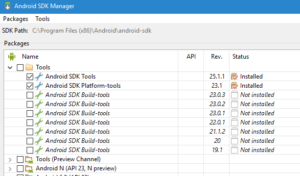 Run the Android SDK Manager, and make sure you’ve got the Android SDK Tools and Android Platform Tools installed for your system. Activate developer mode on your phone: On your phone, go to Settings, About Phone, scroll down to Build Number, and then – and yes, this is is real – tap Build Number about 9 times. A message will pop up saying you are a developer. Go to Settings, Developer Options and enable USB Debugging. Connect the phone to your computer, open a command prompt in the platform-tools folder. 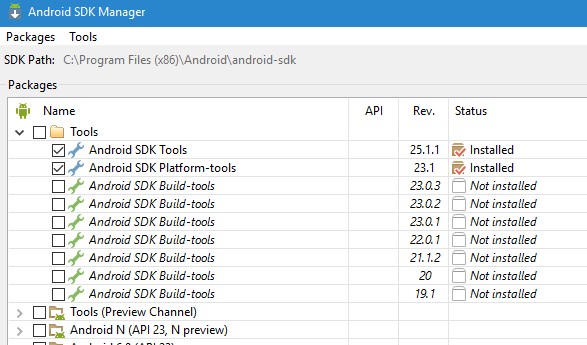 (Default: C:/Program Files(x86)/Android/android-sdk/platform-tools, you can SHIFT+right click in the explorer window on that location and choose open command window here). A list of Android devices should display. ALL OF THE COMMANDS IN THIS GUIDE SHOULD BE RUN FROM THIS COMMAND PROMPT. 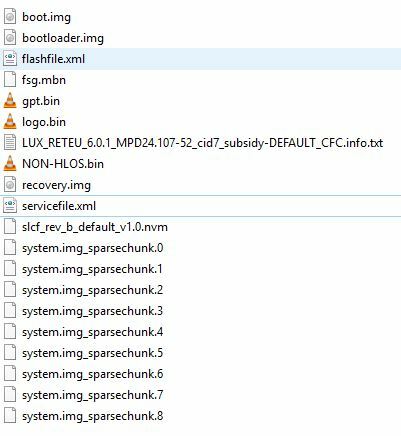 Unless you add the location to your system path, “adb.exe” or “fastboot.exe” will not be found from a normal command prompt. We’re gonna flash everything on the device anew, also the bootloader/recovery. Motorola doesn’t like this, and has locked the bootloader – probably for our own safety, but hey, we’re reckless and adventurous and can read instructions! Make sure that in the developer settings, “allow OEM unlock” and “allow USB debugging” is enabled. Connect the device to your PC at least once. You have to authenticate the ADB connection once, to make sure your computer is trusted. After this has finished, you can reboot your device to check whether or not everything is still allright. In contrast with the Google Nexus devices, Motorola doesn’t provide nice images with a script to flash all the necessary things: you only get the raw .img data, and have to flash every little thing yourself. 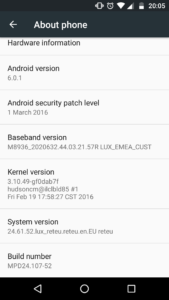 As always, consult the XDA Developer Forum for download links for your specific Moto X Play version. I found this place to be very complete. If you’re unsure which version you need, check your settings -> about phone page. My version is lux_reteu.reteu.EN.EU, which is the European single sim version, but your mileage may vary. The flashfile.xml file is where we’re going to extract the correct sequence and commands for flashing the images. Let’s open it. Don’t pull the phone cable during flashing, don’t even touch the phone. in order to restart your freshly reset phone. Victory! 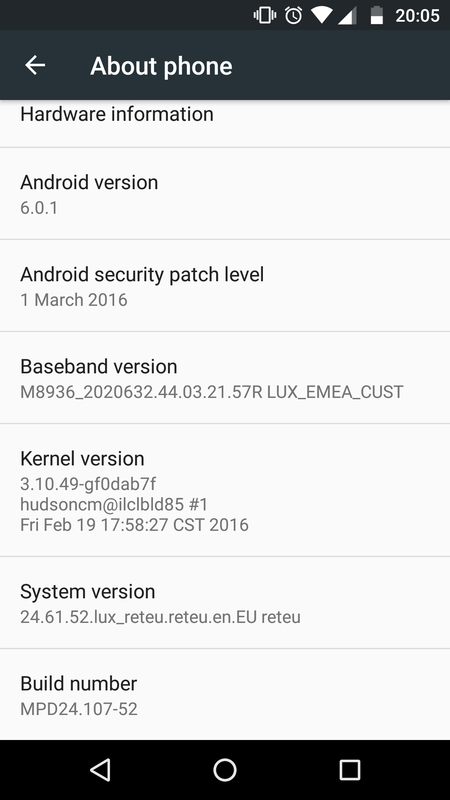 2 Responses to "Flashing system images on Moto X Play"